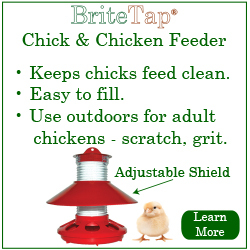 As many of you know, the BriteTap waterer was designed so that owners could use a wide variety of containers as a water supply tank. Our favorite water supply tank is a standard water cooler because you just unscrew the cooler's spigot and replace it with the BriteTap waterer. However, one of our customers recently contacted us about using it on ceramic water dispensers. 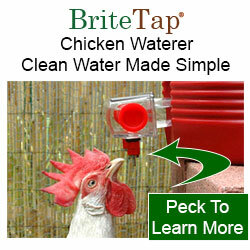 We purchased one and want to you know that the BriteTap can be mounted to a Primo brand dispenser. The only trick is to use the cone shaped gaskets from the Primo's spigot in place of the ones in your BriteTap waterer kit. 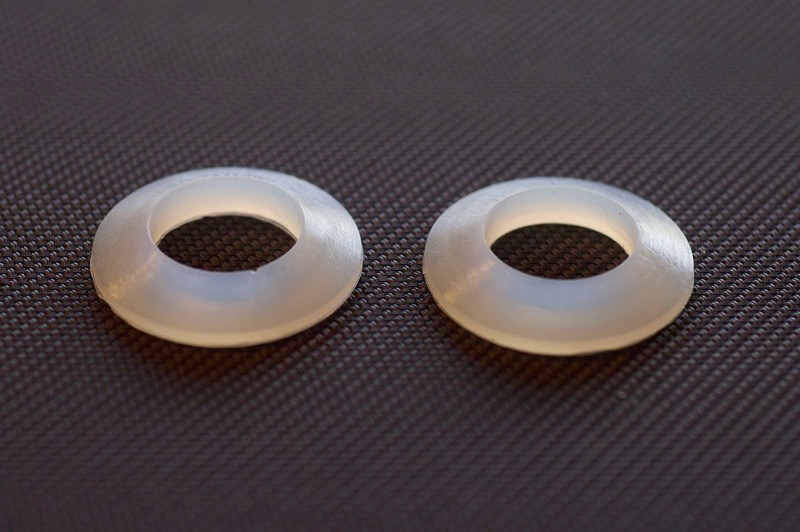 You place these on the threaded section of the BriteTap waterer that gets inserted into the ceramic dispenser -- one on the inside and one on the outside with the narrower part of the cone-shaped gasket placed against the ceramic hole. The Primo dispenser can be purchased at Wal-Mart Online for $34 and delivered to your local store at no charge, or shipped directly to you for a nominal charge. The crock doesn't come with a lid, but you may be able to make one yourself using one from a plastic food container. You can purchase a ceramic lid for most 2.5 gallon ceramic crocks from Amazon.com for $14. The crock itself will hold 2.5 gallons of water. You also have the option to place a 3-5 gallon plastic water bottle on top if you like. 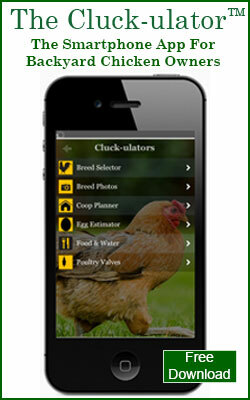 Ceramic dispensers are attractive and may be a good fit with the style of your coop and run. 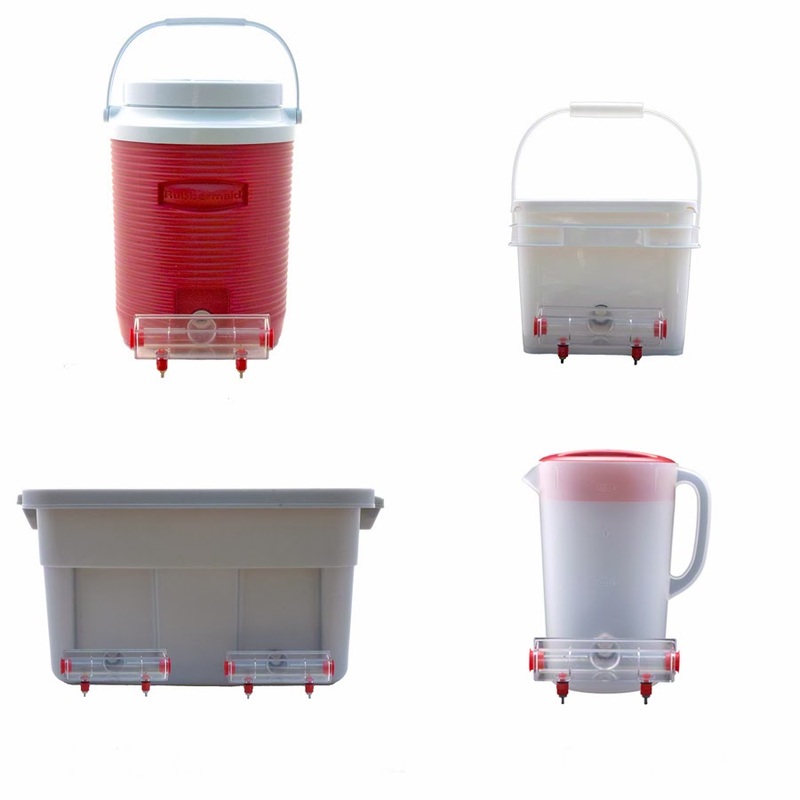 Can be used with 3-5 gallon plastic water bottles. Can be used with heated bases sold for galvanized waterers to slow freezing of the water in winter. 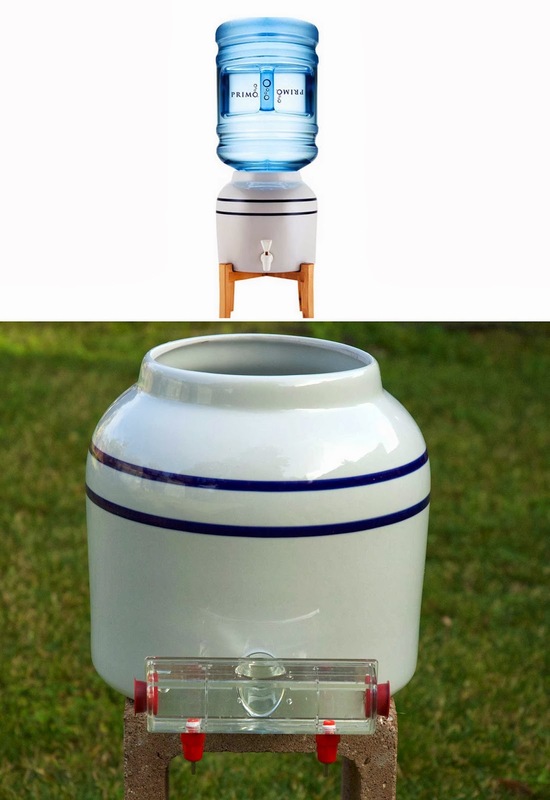 The BriteTap will work on the Primo and probably many other modern brands of water crocks, but may not work on all brands and may not work on antique ones. Don't buy a ceramic dispenser unless you can return it.